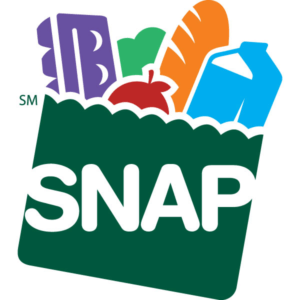 SNAP, Supplemental Nutrition Assistance Program, is especially vulnerable this year under the Farm Bill reauthorization. Colleen Moriarty ED with Hunger Solutions Minnesota put it this way: Our objective is to protect what we have in what is a very hostile environment. The current USDA Administration lists “self sufficiency” and “integrity” as its top priorities for SNAP. The implication being that SNAP recipients are slackers gaming the system. This is far from reality. To qualify, income must be less than 165% of the federal poverty level, roughly $33,000 a year for a family of three. SNAP fraud is 2%, i.e. near non-existent. 70% of Minnesota SNAP recipients are children (46%), adults with disabilities (15%), or seniors (9% – however seniors are the fastest growing SNAP demographic in recent years). Of the remaining 30%, most work but at low paying jobs. And Minnesota already has requirements in place for able-bodied adults without dependents to work or be looking for a job. The average SNAP benefit per person per meal is $1.17, i.e. only a portion of actual food expense is covered by SNAP. However Minnesota is well positioned to influence the Farm Bill and therefore the future of SNAP. Minnesota U.S. Senators Amy Klobuchar and Tina Smith sit on the Senate Committee on Agriculture, Nutrition and Forestry. Minnesota U.S. Representatives Rick Nolan, Tim Walz and Collin Peterson are members of the House Committee on Agriculture. Representative Peterson is the committee ranking member. SNAP is of statewide importance with 45% of recipients living in Greater Minnesota and 55% living in the Twin Cities Metro area. Minnesotans can find SNAP data and impact for their local communities on the MN Dept of Human Services site. Also attached is a letter from Minnesota’s Dept of Human Services Commissioner Emily Piper to the USDA in reference to SNAP.